I came across yet another fantastic recipe from Cook’s Illustrated a few years ago when I was searching for something sweet but a little different for me to bring to a bridal shower. I had the All Time Best issue and decided to try their Blondies Recipe. 1. Pre-Heat your oven to 350 and line a 13×9″ baking dish with two sheets of aluminum foil overlapping one another and hanging over the edges to make for easy transfer from the pan to the cutting board. Coat aluminum foil with nonstick spray and set aside. If your nuts are not already toasted you’ll need to put them on a cookie sheet and pop them into the oven for a few minutes (until they’re fragrant. 2. 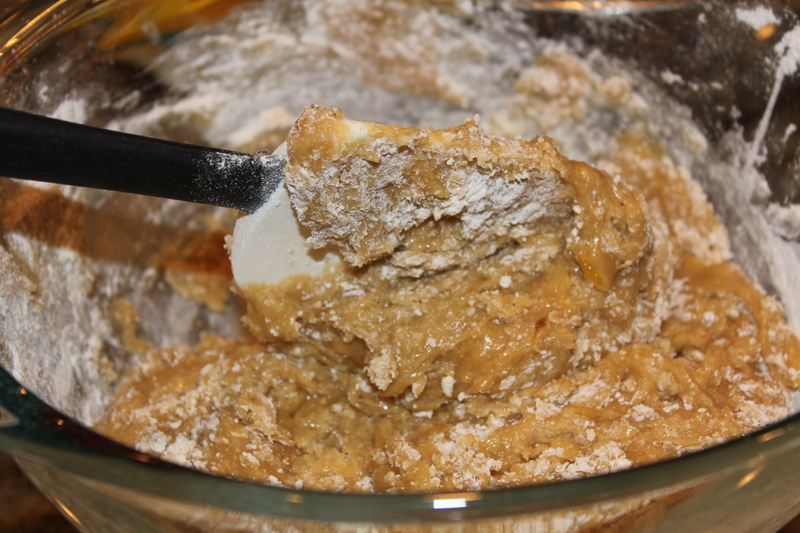 Whisk flour, baking powder, and salt together in medium bowl; set aside. 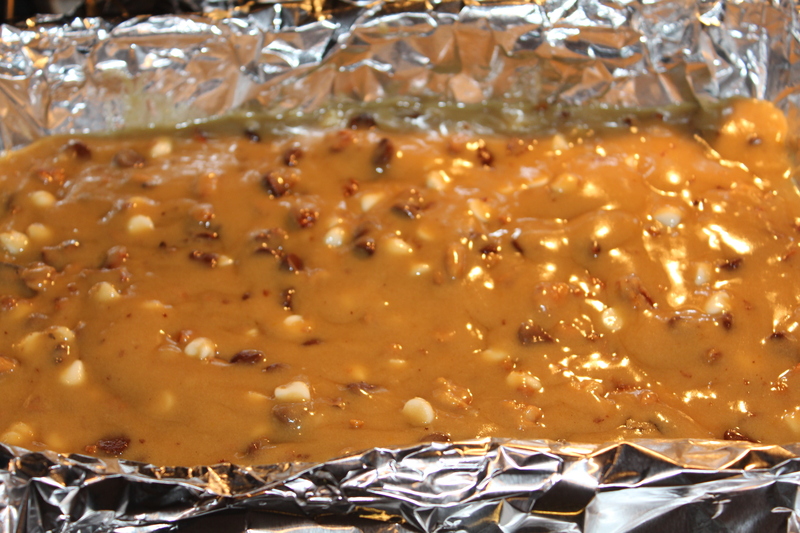 Fold in chocolate and nuts and turn batter into prepared pan, smoothing top with rubber spatula. 4. Bake until the top is shiny, cracked, and light golden brown about 22 to 25 minutes. Be careful not to overbake or else your blondies will be dry, and fall apart. Cool on wire rack to room temperature. 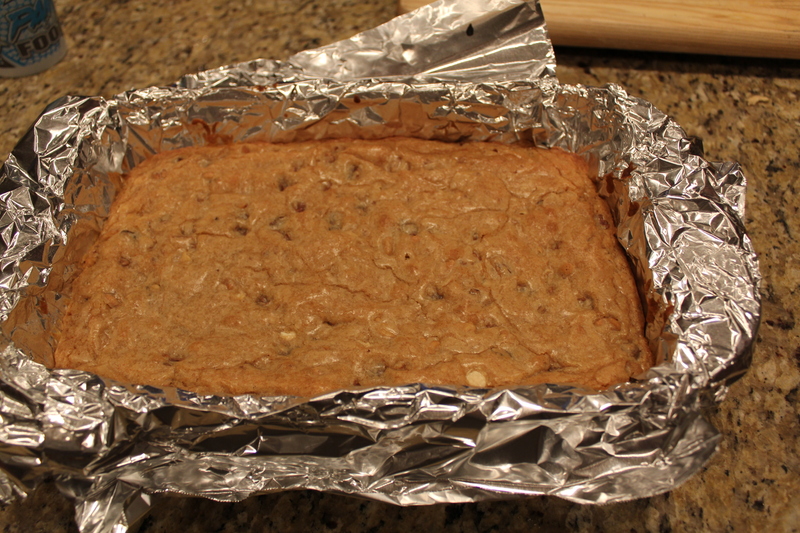 Remove bars from pan by lifting foil overhang and transfer to cutting board. Cut into 2-inch squares and serve. 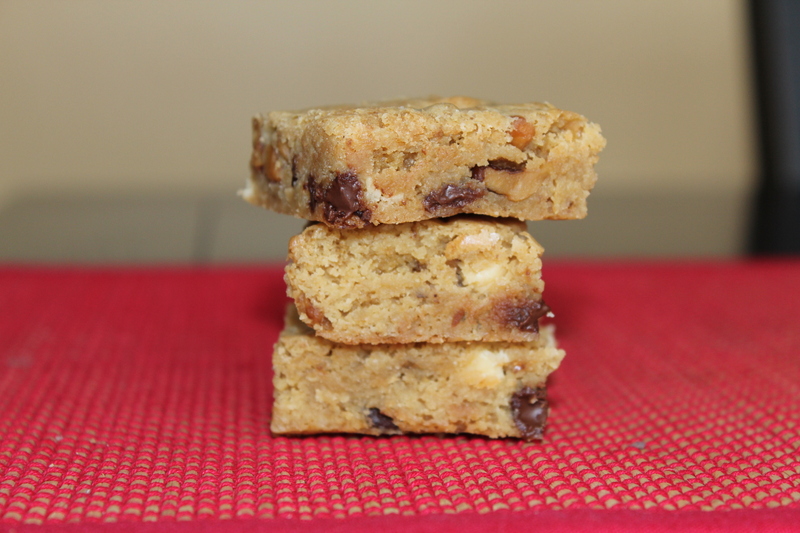 The recipe is relatively easy to follow, and these tasty treats are sure to be a hit wherever you may take them! Are you a Brownie or a Blondie type of Person?